Last week, we talked about writing characters’ thoughts when you have a first-person point of view (POV) story. It’s just as important to show what your characters are thinking when you’re writing in third person–but it can definitely be tricky! It’s easy to slip into a constant stream of he thought/she thought. Who wants that? Today’s post gives 4 different ways to communicate your main character’s thoughts when writing in third-person limited POV. Why only your main character’s thoughts, you ask? Because in third-person limited POV, the narrative is written as if someone is peering over your main character’s shoulder to tell the story. 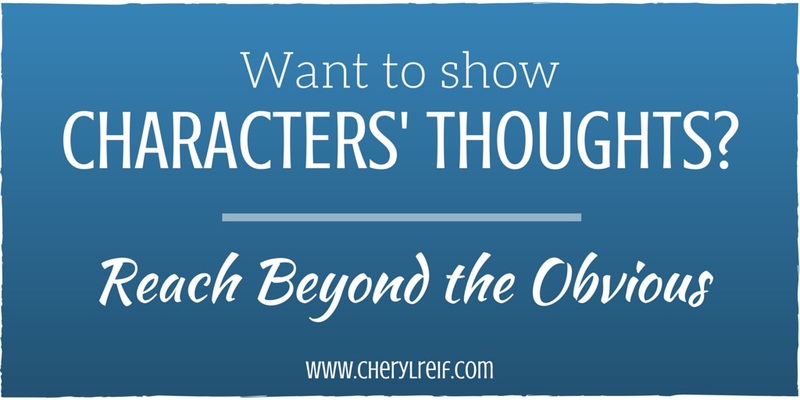 Unless your main character is a mind-reader, he or she won’t know what other characters are thinking. In omniscient POV, your all-knowing, all-seeing narrator has access to all your characters’ thoughts–but that’s a kettle of fish for another post. In my current work-in-progress, I’m writing from the POV of a 12-year-old boy. As I wrote earlier, finding his voice has been a challenge! And since I’m writing in first person, I have to stay in that voice ALL THE TIME—when he speaks, when he thinks, even in the details I include when describing setting and other characters. I never get voice perfect on a first draft, but keeping the following guidelines in mind can help me get closer. On a rewrite, these guidelines help me analyze whether the voice is consistent and believable—or whether it strays into author-speak. What does your character TYPE notice? A typical 12-year-old’s attention can be captured by friends, games, food, and, occasionally, school. On the other hand, he probably won’t notice his sister’s new hairstyle, the wrinkles on his t-shirt, or the school books scattered across the living room floor. What does your SPECIFIC character notice—what sets him apart? One way to bring setting detail into your writing without sacrificing voice is to explore the things that will interest your character. For instance, my 12-year-old, squirrel-loving protagonist notices trees and the creatures that live in them. 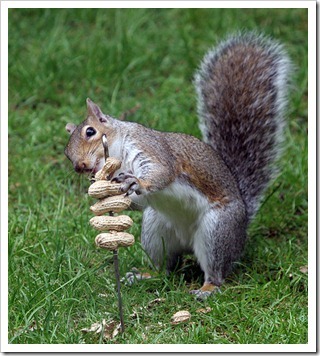 He could point out a squirrel nest and would know when a pair of starlings were harrying a squirrel. This sort of detail brings the scene to life as well as providing insight into your character. How do your character’s opinions reflect in his observations? Description from a character’s POV is a great way to show attitude and bias. Does he like his math teacher? If so, he’s more likely to notice pleasant details like a smile, twinkling eyes, rosy cheeks. If he hates the teacher, he’s more likely to notice negative details—greasy hair, a lined face, boots that look like they could break fingers. Even a neutral detail—the teacher’s habit of humming under his breath—can be described as endearing or annoying. What’s your character’s emotional state? We’ve all experienced it: grumpy people tend to notice the negative whereas happy people tend to notice the positive. Frightened people are more likely to jump at shadows and creaking floorboards. Portray your character’s emotional state both by what he notices and by his interpretation. How does your character use language? Now that you’ve figured out WHAT your character would notice, how his pre-existing OPINIONS and biases would impact his observations, and how his EMOTIONAL STATE affects his interpretations, you’re ready to think about how he would EXPRESS what he notices. Let him draw on his experience for analogies. Incorporate characteristic phrases, gestures, and speech rhythms (yep, I’m talking about voice again!) not just into his speech and thoughts—incorporate them into the narrative itself. What about you? How do you stay in your characters’ POV?